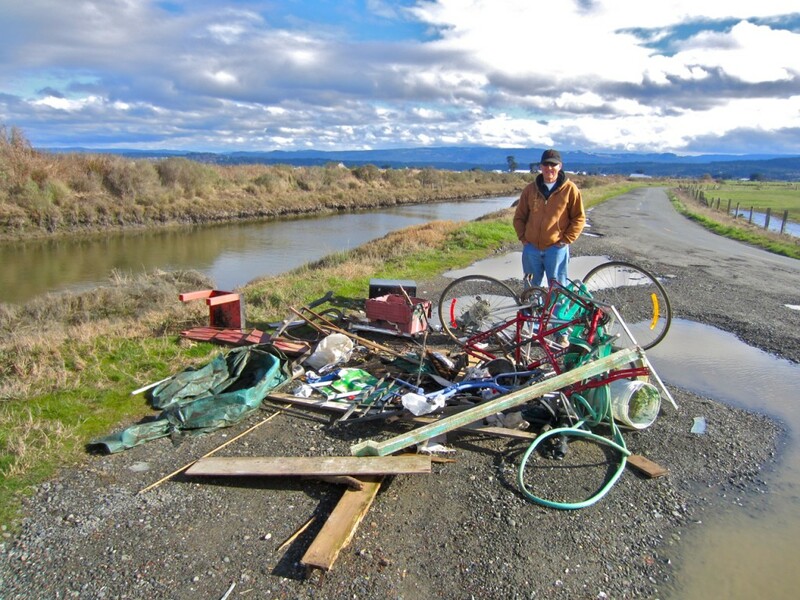 LISCOM SLOUGH/JACKSON RANCH ROAD – As dawn’s rosy fingers crept over the Arcata Bottom along Liscom Slough last Friday, Feb 10, they revealed to Ted Halstead the hideous pile of debris above, which included all manner of wretched refuse. 1. That we have absolutely no idea who did the dumping. 2. 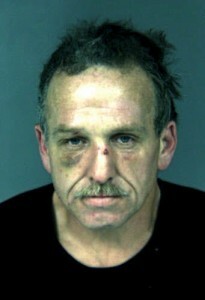 That the envelope below was found in the garbage. 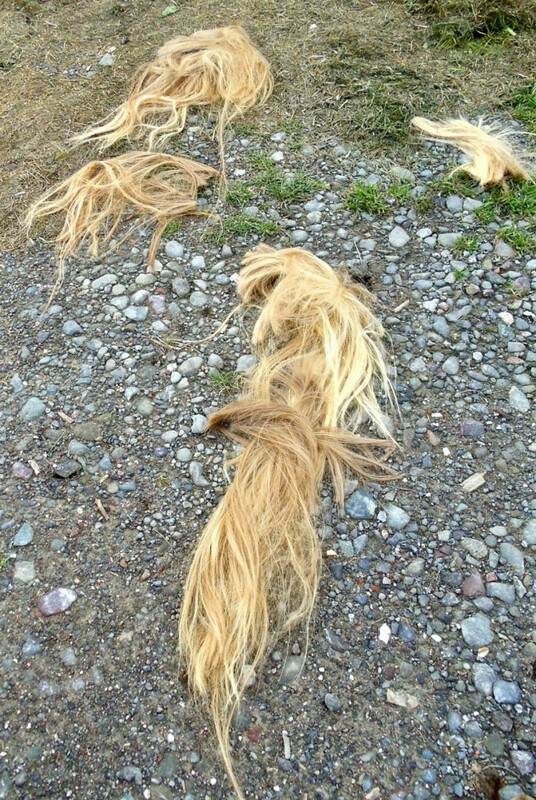 Later that day, when Ted returned to collect the mess for disposal, a car was parked nearby, with a blonde woman chopping her hair off and throwing it on the ground under the “No Dumping” sign. 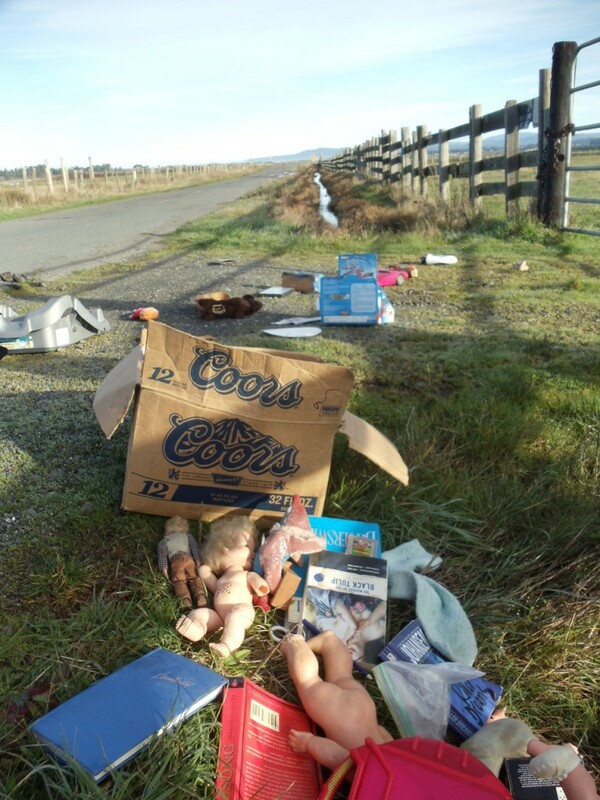 The previous week’s harvest of horror included a trail of discarded children’s toys, books and other household items. 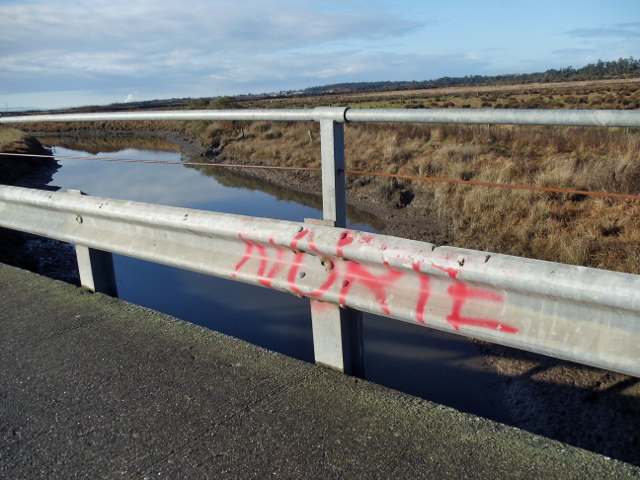 Meanwhile, the railing along the little bridge over Liscom Slough on Jackson Ranch Road has been marked with a tag by the Norteño gang. This entry was posted on Saturday, February 11th, 2012 at 9:02 am	and is filed under News, Environment. You can follow any responses to this entry through the RSS 2.0 feed.